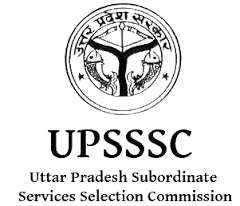 Uttar Pradesh Subordinate Service Selection Commission (UPSSSC) Lucknow has announced employment news for various post of Rural Development Officer, Sangrah Amin, Fisheries Development Officer, and Social Welfare Supervisor & Various Vacancies. Applicants interested in this job may apply online on or before 14th November 2015. Rural Development Officer – Applicants must have cleared the intermediate examination with CCC Certificate. Fisheries Development Officer – Applicants must have cleared intermediate examination with Biology, Physics & Chemistry. Social Welfare Supervisor – Applicants must have cleared the intermediate exam with any stream. Procedure to apply: Applicants interested in applying for this job may apply online at the website address given below in the link. Important date to remember: Last date of online application for Part I is 14th November 2015 and Last date of online application for Part II is 18th November 2015. Last date of application fee is 16th November 2015.